The New Year often brings with it the desire for change. Travelers can experience a proverbial “change of scenery” in these accommodations with unusual wall decorations. Whether noble, retro or playful – high-quality wallpapers are used here not only as eye-catchers, but provide for an incomparable living atmosphere. In accommodations from Sweden to Morocco, the four walls simply become an art gallery. 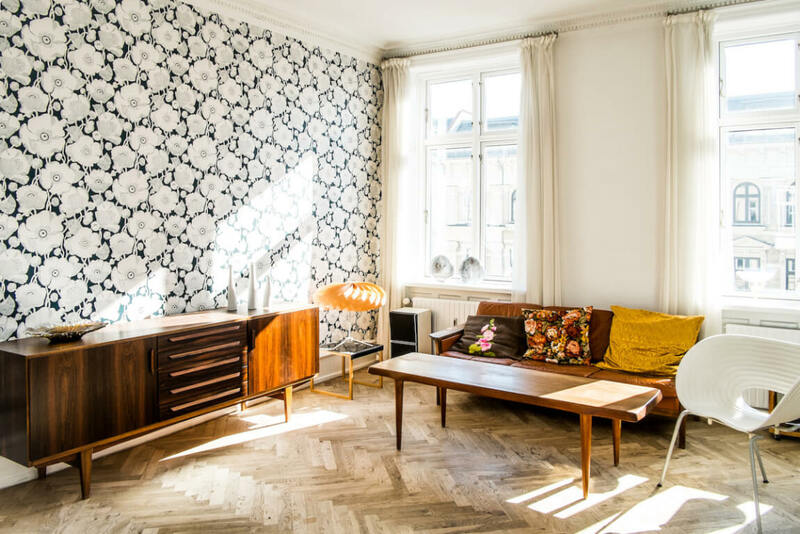 This stylishly decorated apartment from the 1920s is located in Stockholm’s trendy “Sofo” district. With a floral wallpaper in the style of the British traditional label William Morris, the hostess has created an absolute eye-catcher here. The bordeaux-coloured wall covering not only matches the dark parquet perfectly, but also frames the room. The bright furniture creates airy contrasts, the imposing fireplace nestles naturally into the overall picture. This delicately patterned wallpaper in white and gold brings the soft light of the morning sun into your bedroom. 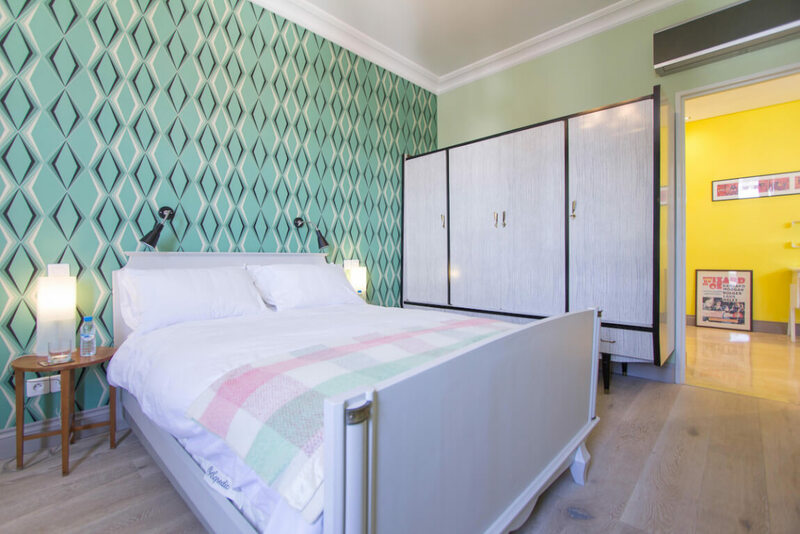 Guests of this accommodation, located in the historic city of Porvoo – just outside Helsinki – come to rest in this warm setting. But it’s not just the wall decor that makes interior hearts beat faster; the apartment also boasts its own Finnish sauna. In this newly renovated Retro apartment in the heart of Casablanca no colour was saved. The mint wallpaper in the bedroom stands out against the bright yellow walls in the living area. The mint green conjures a spring-like freshness on the wall and lets guests dynamically start a new holiday day. 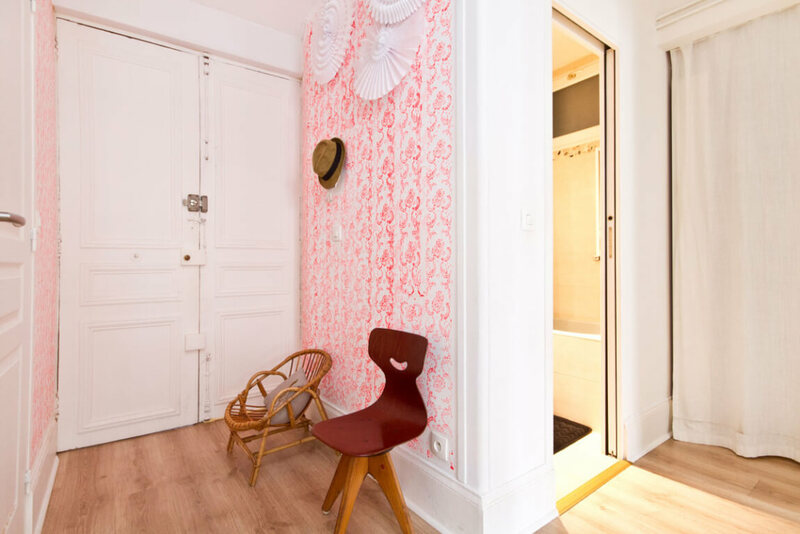 This excellent design apartment in Paris shows that different wallpaper patterns can also be cleverly combined in one apartment. Each room is individually and playfully furnished. In the hallway, guests enter a delicate room in neon pink. And in the children’s room, children dream of adventures in the jungle in front of a black-green palm wallpaper. 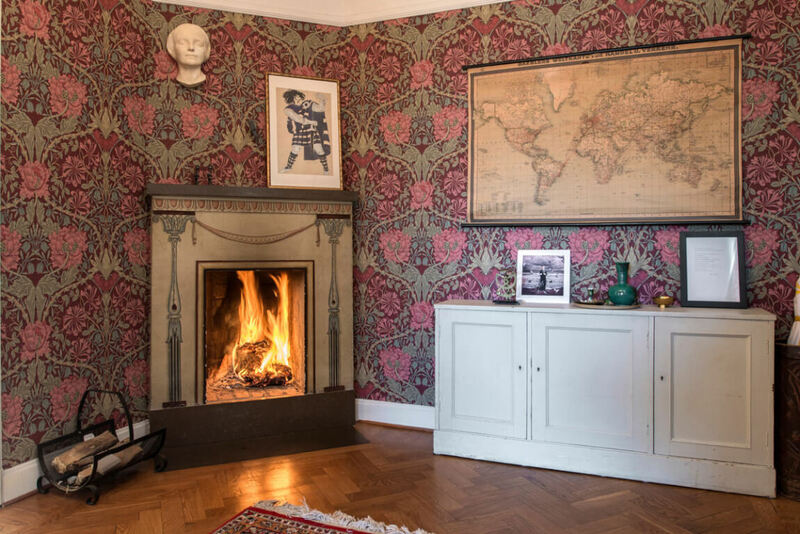 More wall design is not possible: In this Boutique Home in Stockholm every room is a small work of art. Wallpapers with delicate prints are perfectly matched to the rest of the interior. 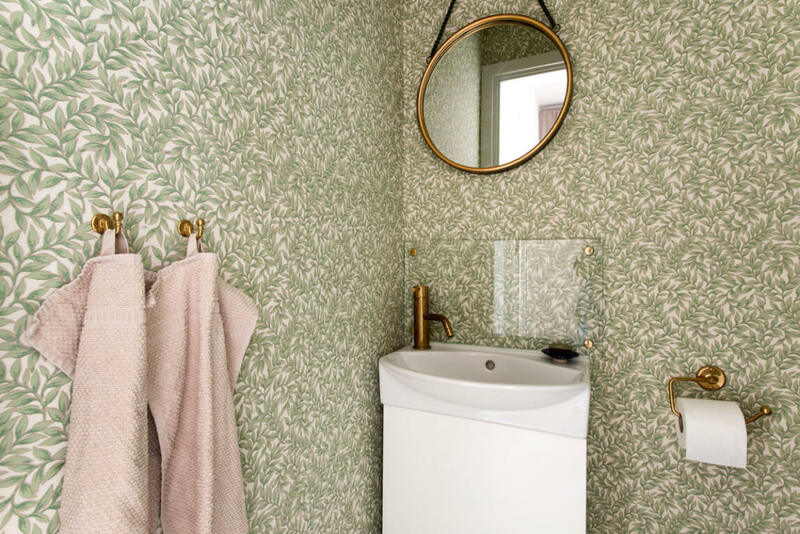 Guests can use their morning toilet in a room wallpapered with pastel-coloured leaves. Lovely details such as towels in old pink as well as fittings, hooks and play in gold blend in naturally and let the bathroom shine. In this light-flooded apartment in Copenhagen guests can enjoy outstanding design. A special heart of the living area is a black and white wallpaper, which, on closer inspection, merges into a graphic flower meadow. Without imposing itself, the print lets the room appear deeper, 60’s furniture is perfectly staged in front of the wall. Rowan Bain, curator of the William Morris Gallery in London, explains how a stylish change of scenery can also be achieved in one’s own home.